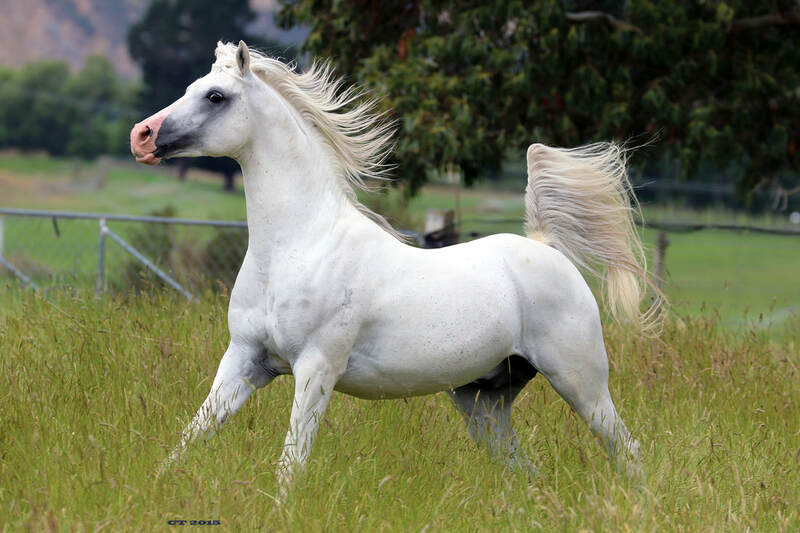 This stallion is by Quassa and out of Zhola ( Arabesque Crystal Flame imp Aust - Zest - Waimeha Marendo ) and stands approximately 14.2 hands. 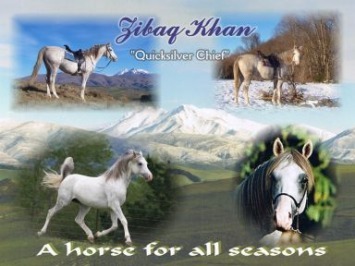 Zibaq Khan has been shown three times for two Champion Stallion titles and Reserve Champion Arabian. He has the occasional trek up the river or over the hills and is always a pleasure to ride. He is leaving quality stock out of a variety of mares and we look forward to seeing his youngsters mature. "Ziggy" is 89% Crabbet and he carries four crosses to Rakib within seven generations and crosses to the legendary Shahzada. 89% Crabbet. The remainder is Old English and Shahzada. Grazing additional $20.00 per week.